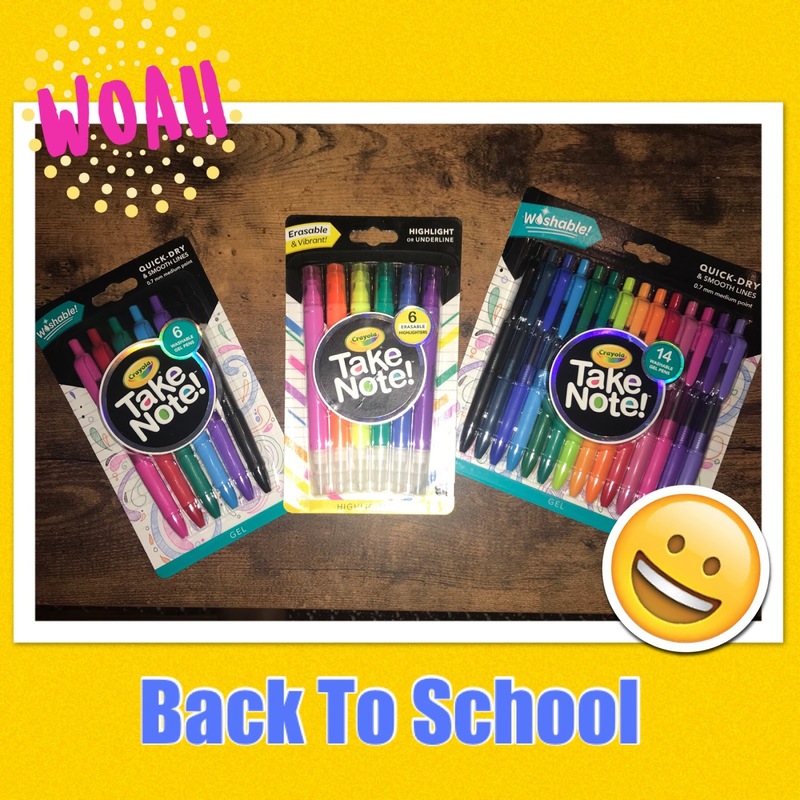 School will be starting before we know it and Crayola has a fun new colorful way for your tweens and teens to take notes this year. Take Note! Washable Gel Pens and Erasable Highlighters will add fun to tedious note taking tasks. The gel pens are available in 6 ct. and 14 ct. packages. The Erasable Highlighters are available in 6 ct. package. I love using colorful pens and highlighters when I doodle, take notes and create letters and cards for family and friends. They are a great way to express feelings, moods, and are perfect for accentuating. Look for Take Note! products wherever Crayola products are sold and visit Crayola for more information. Highlight and erase in 6 vibrant colors—without damaging books or documents! 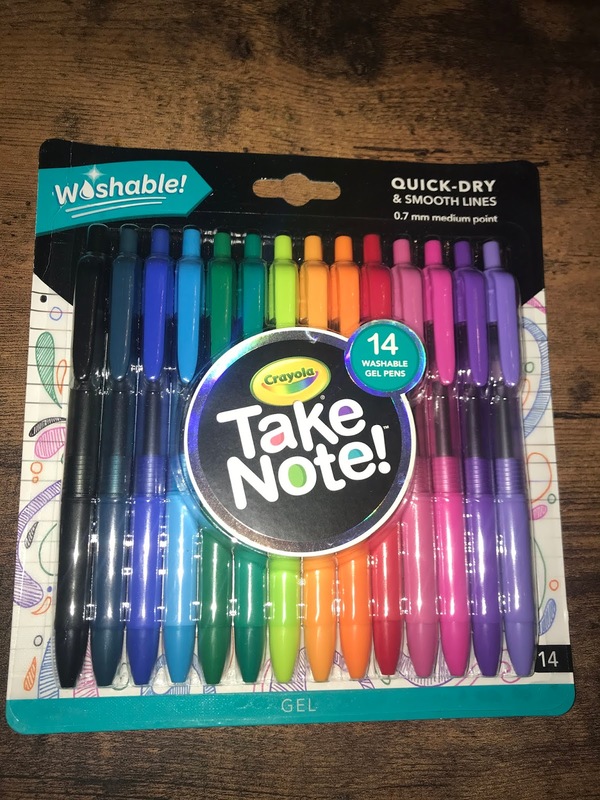 The Crayola® Take Note! 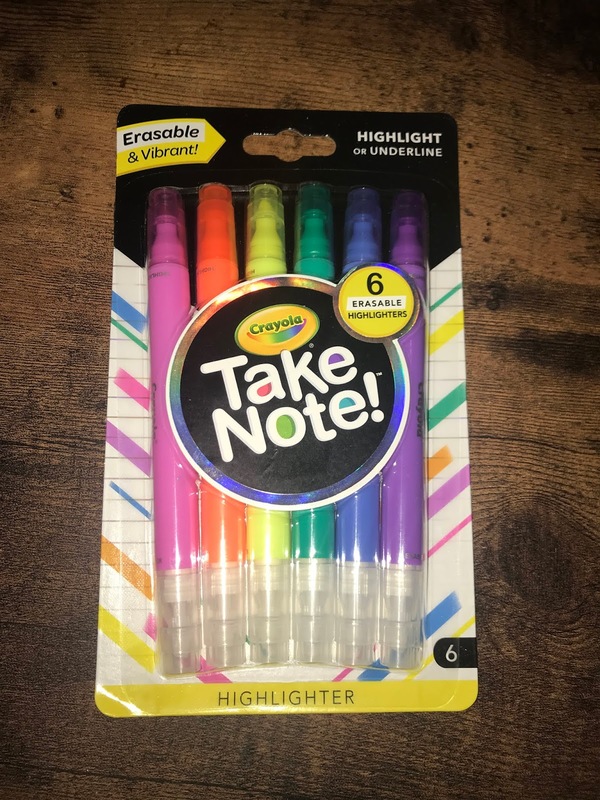 erasable highlighters have bright colors on one end, with clear ink tips on the other end for magically erasing the colorful highlights. No more worrying about highlighting the wrong word or over-highlighting a page! Includes 6 dual-tipped erasable highlighter markers in 6 different colors. For 6 years and up. Enter to win a set of Crayola Take Note! products shown above! Visit Chatty Patty's Place on Facebook to enter! US Only. Winner will be chosen 7/31/18. Disclosure: This is a sponsored post. 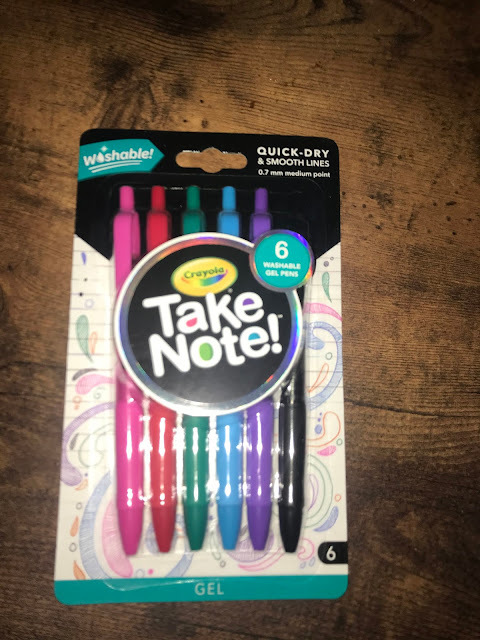 Crayola has given me a set of Take Note products to facilitate this post. They will also be sending a set to one random winner.